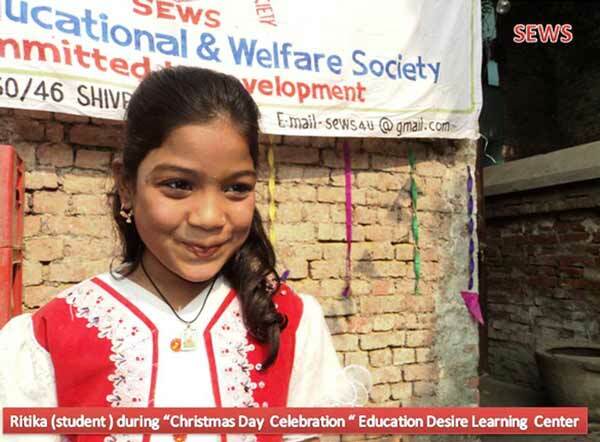 Today 3-Feb-15 , SEWS India organised “Garmaahat – Winter” program at Koraut Vilage Varanasi. 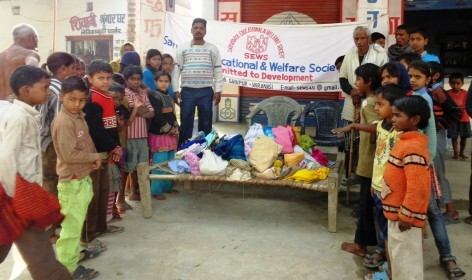 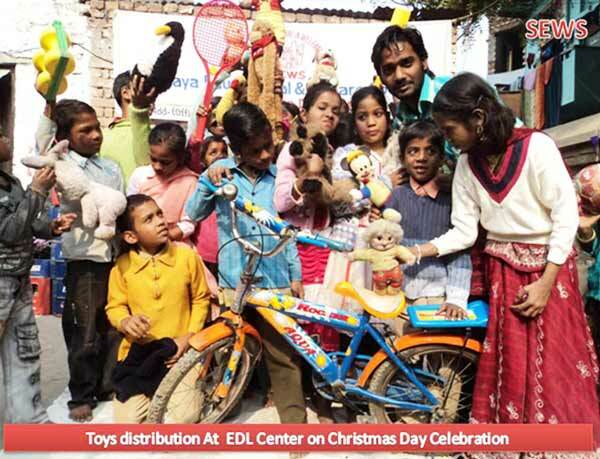 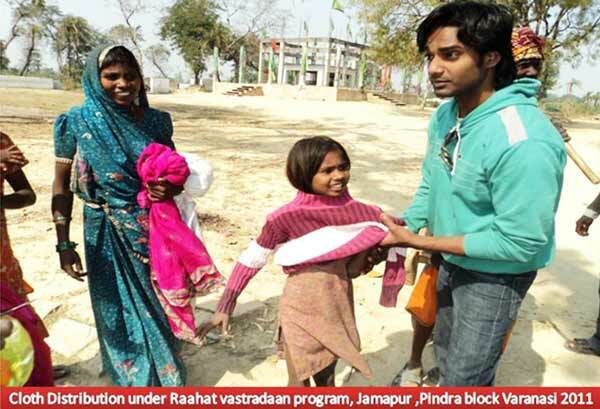 Mr. Rajkumar (Volunteer Sews India) arranged all the logistic and survey work for his village) and distributed old but useful clothes to Aged people and children of his village. 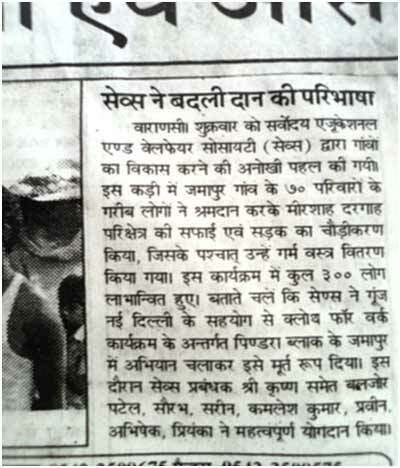 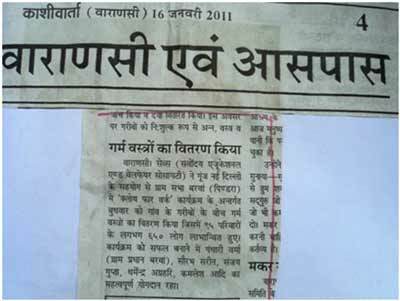 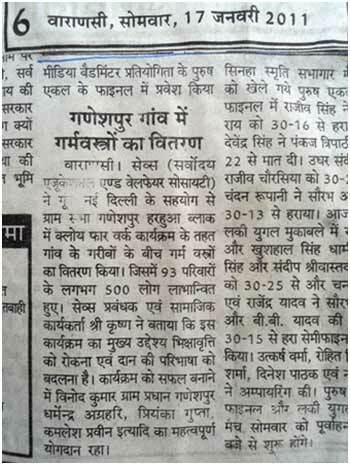 As per information more than 100 people benefitted in this program. 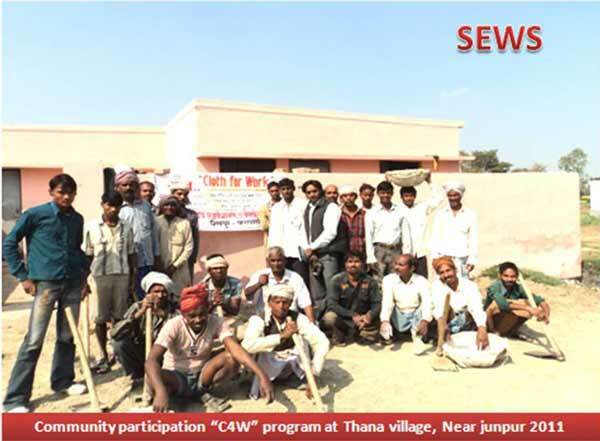 On this occasion Mr. Anand Gupta & Mr. Pk Gupta was present behalf of Sews India for monitoring work. 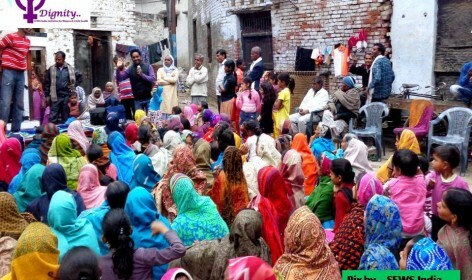 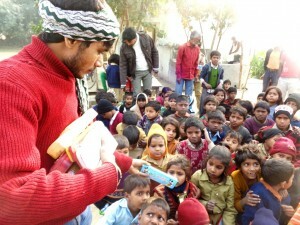 25-Jan-15 SEWS India organized a community meeting at Slum of Katuapura – Varanasi with support of Mr.Vishnu (Volunteer SEWS). 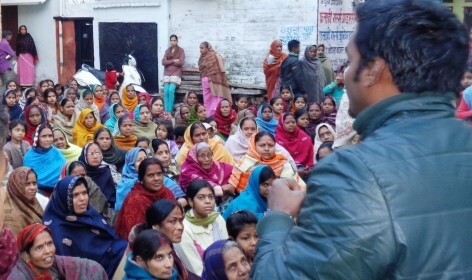 It was successful and interactive meeting on “Swatchha Bharat Mission” more than 100 Women participated in this meeting and they did understand the importance of cleanliness and hygiene of their area as well as for Banares. 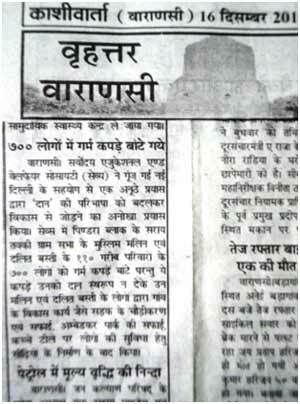 Mr. Krishna Gandhi, Mr. Saurabh, Mr.Karan Cool, Mr. Durgesh Singh attended this meeting.